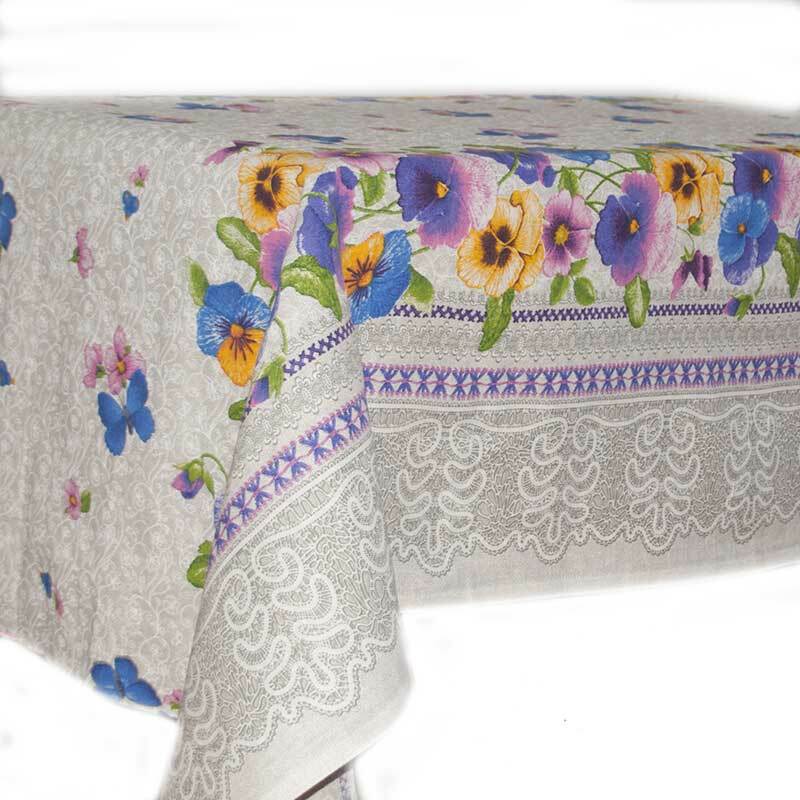 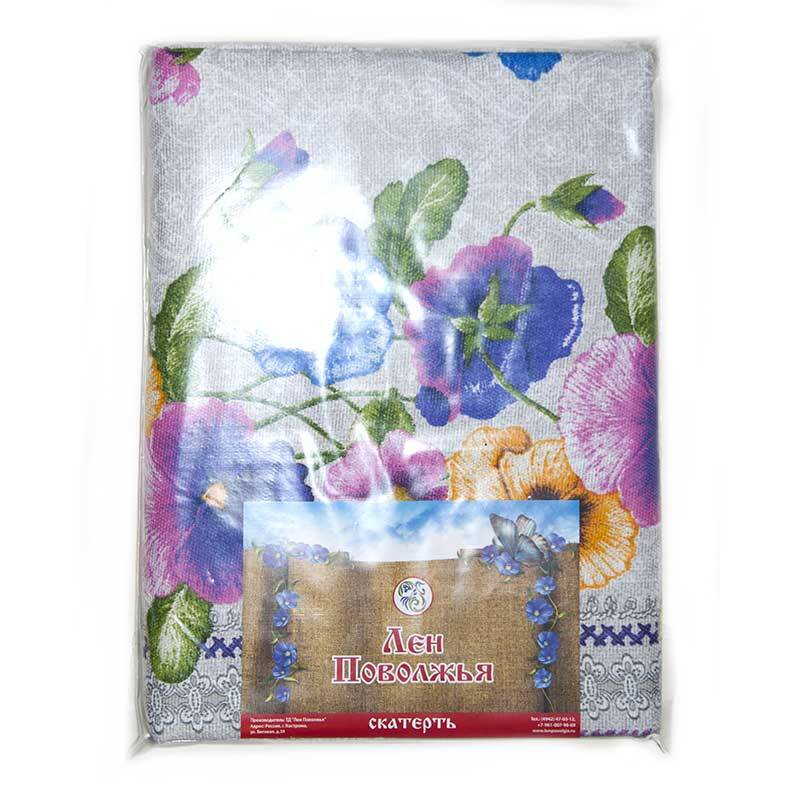 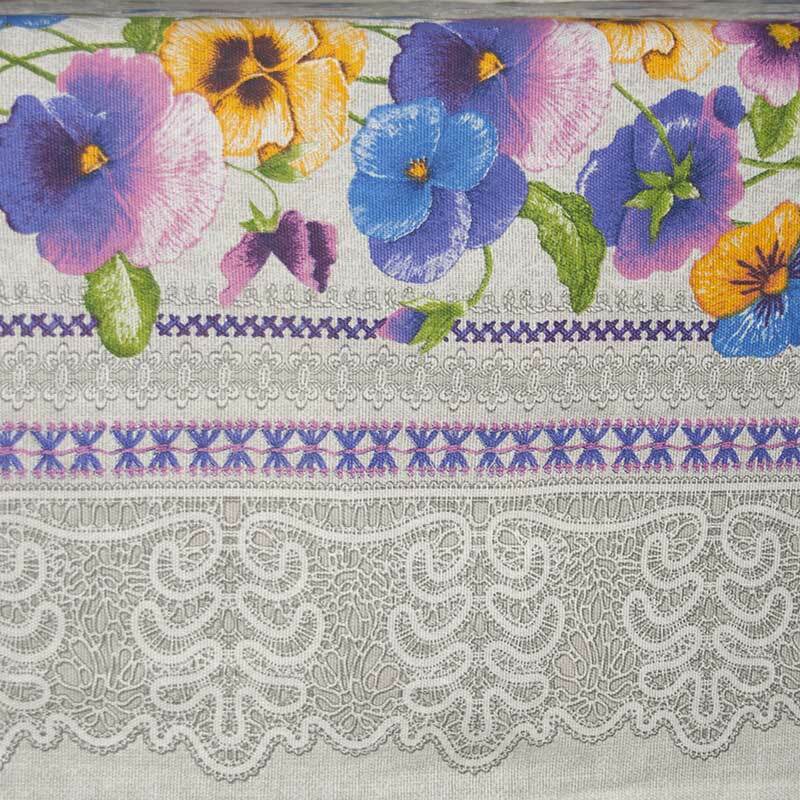 Tablecloth Pansies Russian Style size 1.5x1.5 m is made of 100% cotton and it is decorated in Russian country motives. 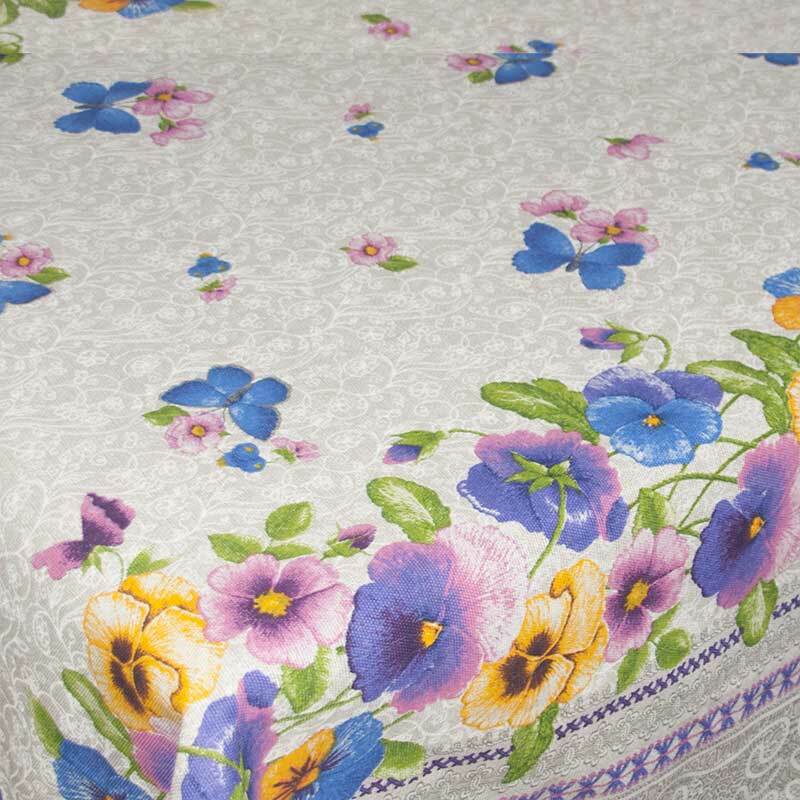 It is made of natural soft fabric which consists of 100% of cotton. 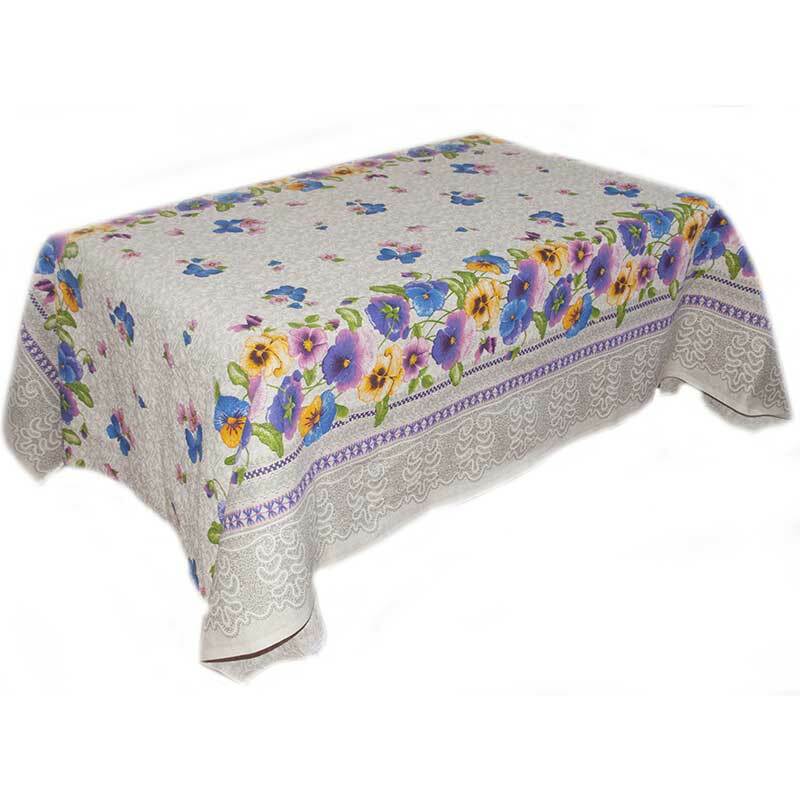 The tablescloth may beautify your dining room or can be a desired gift.